There are just under 15 accounting schools in Maine with degrees ranging from certificates to Master’s degrees. Among these, the University of Maine is ranked 167th in the country by U.S. News. Other notable schools are Saint Joseph’s College and the University of New England, both ranked among the top 100 Northern universities by U.S. News. Without topping the national rankings, Maine accounting schools offer some noteworthy study options to motivated accounting students wishing to start their careers within the state. Every successful accounting career starts with a top quality accounting degree. 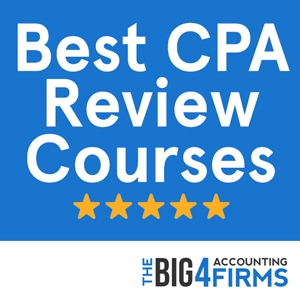 The program you choose will have a strong influence on how confident you are when taking the CPA exam and what skills and experience you have when entering the job market. So don’t take this decision lightly – inform yourself thoroughly and make sure to choose the most rigorous program that can prepare you for future challenges. An easy program is unlikely to help you stand out from the crowd. On the contrary, an AACSB-accredited accounting program with tough admission and assessment criteria will help you become a great accountant. Take a look at the program’s CPA exam pass rates, graduate placement statistics, student evaluations and faculty credentials before you make your decision. Moreover, make sure the program will provide you with a comprehensive curriculum and will take teaching outside the classroom through internships, field projects and extra-curricular activities. Student organizations, volunteering programs and a good careers service can make gaining experience during your studies a lot easier. Simply put, choose the best program and don’t be afraid to challenge yourself, and you’ll find that future challenges in your career will be easy to face. The journey to becoming an accountant begins with a four-year degree with an accounting concentration. If you’re striving to become a Certified Public Accountant (CPA), you will need to complete 150 semester hours, which can normally be earned as part of a higher degree over five years. Once you have met your state’s educational requirement for taking the CPA examination, you will have to pass the exam (it has four parts) before you can apply for a CPA certificate. You will also be required to take an ethics course. Moreover, in order to work as a CPA you will have to spend a couple years gaining valuable experience. As a licensed CPA, you will also need to complete a certain number of continuing professional education credits in order to renew your license. Accounting involves continuous learning and adjustment to an ever-changing business world – but if you are up for the challenge, the rewards are sure to be worthwhile. 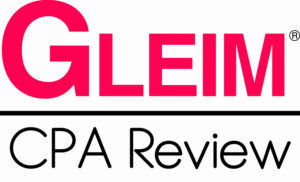 If your goal is to become a CPA in Maine, the first requirement is to pass all four sections of the CPA examination. You are eligible for taking the examination if you have completed, or expect to complete within 120 days of the examination, a four-year baccalaureate or higher degree with 15 hours in accounting, auditing and ethics. However, in order to apply for a CPA license, you have to complete 150 semester hours of education, including 15 hours in accounting-related topics with a compulsory 3 hours in auditing and attestation services. Moreover, you are required to hold two years of experience in the employment of a licensed public accounting firm under the supervision of a licensed CPA. Maine is a much less lucrative state for accountants than its neighboring states, with a mean annual salary in 2013 for accountants and auditors of $61,910. Accounting salaries and employment levels place Maine below the national average. However, variations in pay are common in accounting: salaries can rise by 100% with experience over the course of a career and location can be a strong factor in determining pay. In Maine, the Portland-Biddeford area reports the highest accounting salaries, with an average of $68,680 – well above the national average. It is also worth noting that salaries vary widely between accounting professionals within the state, with the highest paid percentile in Maine earning as much as $95,850 on average. Ranked 81st among Regional Northern Universities by U.S. News, Saint Joseph’s College offers a Bachelor of Science in Business Administration in Accounting that provides students with expertise in financial analysis, taxation, auditing, cost accounting and financial statements. The program blends theoretical learning with practical applications, including internships and opportunities for professional development. Saint Joseph’s College also prepares graduate students for a public accounting career through its online Master of Accountancy degree. This 36-credit program qualifies students for CPA certification while offering maximum flexibility and a personalized learning experience. Accounting, leadership and ethics are at the core of this graduate program that emphasizes problem solving and critical thinking. All courses in this program are 10-week online classes and can be started at any time during the year. Saint Joseph’s College also offers a Fast Track to Master of Accountancy option, wherein students who have earned a “B” or better in five designated undergraduate courses may waive up to two courses from the Master’s degree. The Maine Business School at the University of Maine offers a fully AACSB-accredited accounting program at both the undergraduate and graduate level. Undergraduates earn a Bachelor of Science in Business Administration with a major in Accounting providing a solid education in accounting and business. This selective program requires students to earn at least a “C” in all core business classes in order to pass. Students wishing to apply for CPA certification or to broaden their accounting skills can opt for the Master of Business Administration with an Accounting concentration. This intensive 39-credit program organizes its curriculum around advanced accounting, finance and management topics. Maine Business School students benefit from hands-on learning opportunities such as internships, field experiences, group projects and international field study projects. Moreover, accounting students can get involved in extra-curricular activities provided by student organizations such as Alpha Kappa Psi, the Institute of Management Accountants, $PIFFY, the student-run investment group, and the Volunteer Income Tax Assistance program.